Superdry women's fluro star mix triple pack. 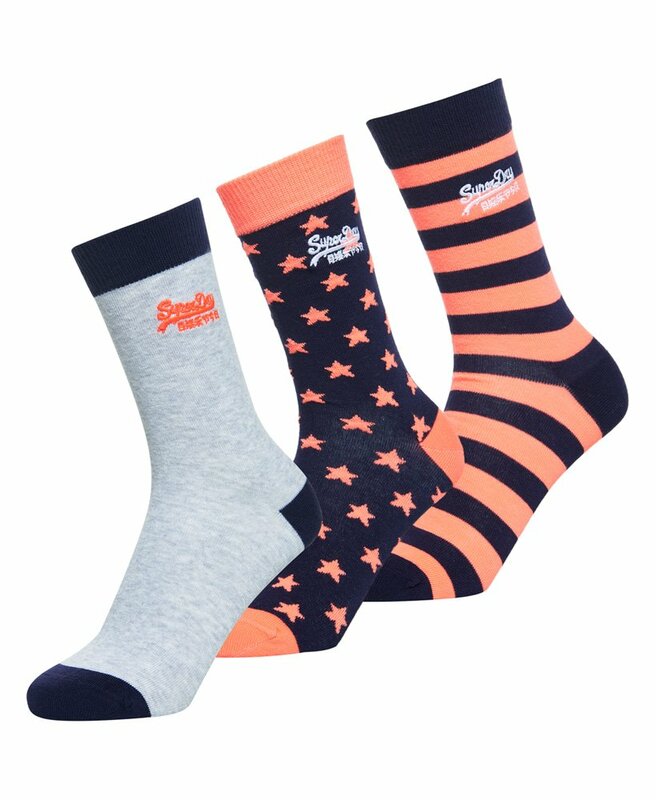 A pack of 3 unique pairs of socks featuring contrast toe and heel sections and ribbed cuffs. The socks are finished with an embroidered Superdry logo near the cuff.